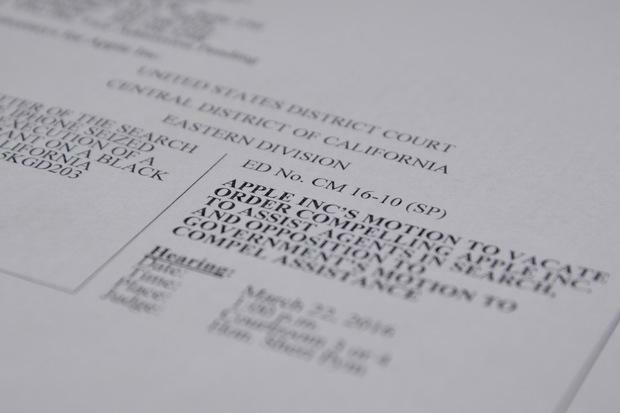 The first page of Apple's motion to vacate the judge's order in another part of its ongoing battle with the FBI. This will be heard later in March. Apple continues to fight the FBI over a request to create a bypass mechanism for iOS to let the government access the local contents of a dead terrorist's iPhone. But the same legal justification - a 1789 law called the All Writs Act - has been used by the federal government in more than 70 cases to force Apple to decrypt iPhones used by alleged criminals.